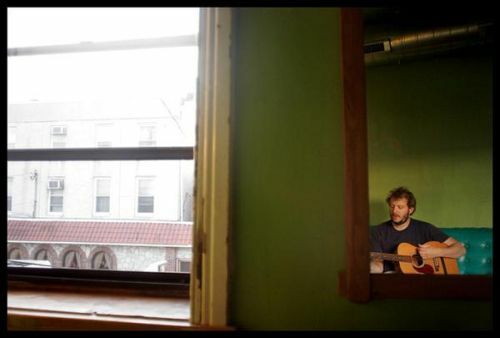 It’s been a long time coming, but Wisconsin soul-folkie Bon Iver’s debut LP, For Emma, Forever Ago, will be released on the Jagjaguwar label February 19th. A number of you may have seen the album pop up on numerous best of ’07 lists, and for good reason, as the album saw a very limited self-release (500 self-made copies) last year. The Jagjaguwar edition is the same running order, etc., but with new artwork. It’s the best thing I’ve heard – front-to-back – in a long, long time. Wow! “Skinny Love” is by far the best song I’ve heard so far in ’08. I better pre-order this pronto. “skinny love” is one of those songs i leave on repeat. Pingback: The Presidential Award for Aural Fitness » Newsflash: Wisconsin is OK.
for some reason i put off listening to it, even though many people suggested i would absolutely love it. which is maybe why i put off listening to it – the 16 year old in me took over. anyway, yeah, its a wonderful record that for the past 3 months hasnt been far from my ears.